This is absolutely delicious, super filling and very quick to make. 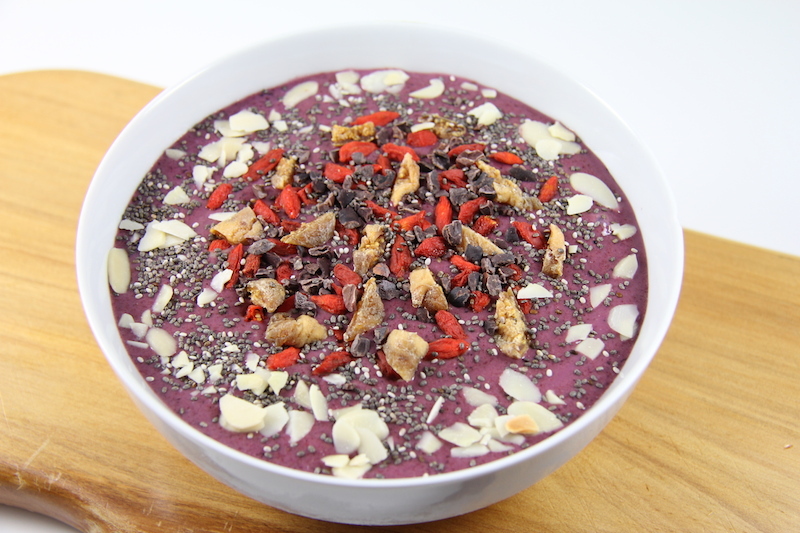 It is basically a smoothie which is made to be very thick so that you eat it out of a bowl with a spoon. Adding all of these wonderful toppings is not essential, but highly recommended, as it adds a whole new dimension of flavours and textures. This is just a basic recipe – use it as a template and make it according to what you have in your house. Note: Raw cacao adds a bitter, chocolatey taste to this. I am obsessed with bitter dark chocolate and therefore like to add this, but most people would probably prefer the sweet taste of the fruit without the addition of cacao. Do according to your preference. Add all ingredients to your blender and blend until smooth. You want this to be thick so I don’t suggest adding extra liquid. In order to blend thoroughly, you will need to scrape the sides of the blender down intermittently. 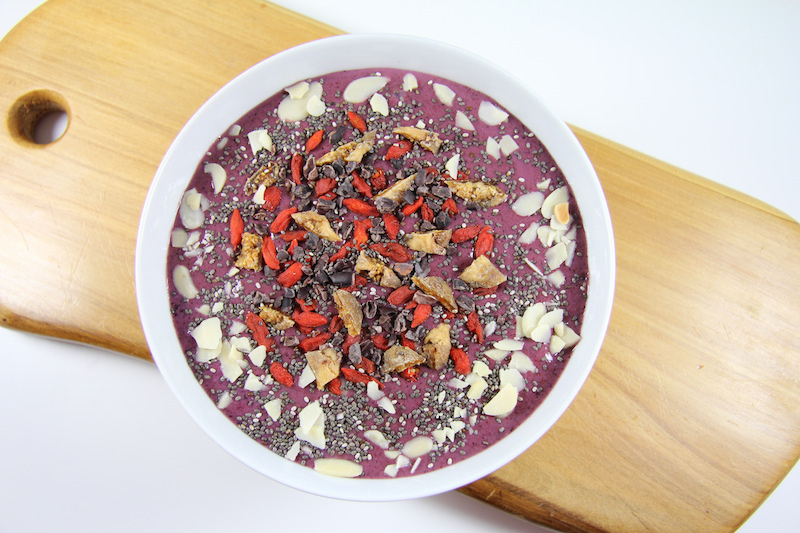 Taste and if you approve, pour it into a bowl, sprinkle on your toppings and munch away! Isn’t it great to start your day like this? 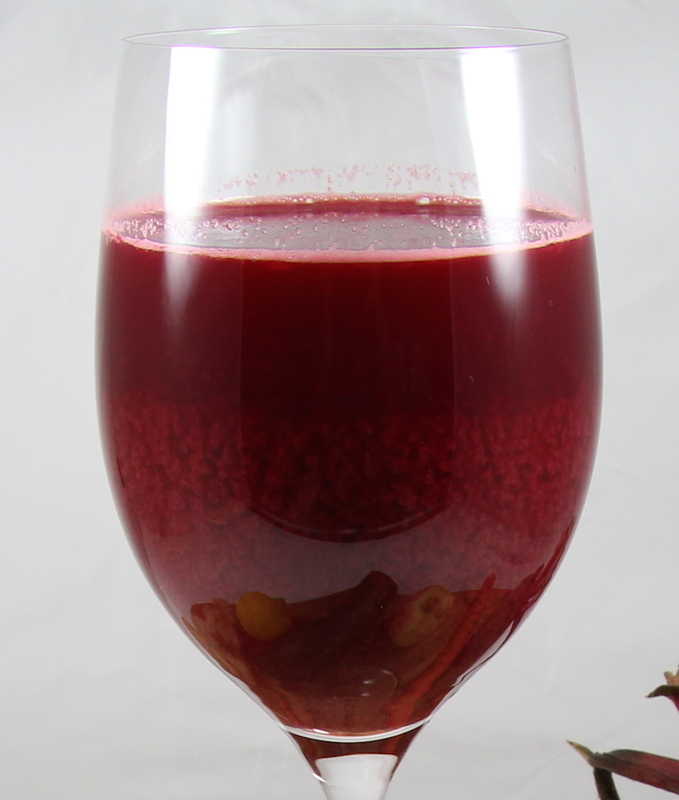 After making this, I couldn’t help but giggle at how much it resembles red wine – I just had to drink my morning veggie juice out of a wine glass for kicks:) This veggie juice is super delicious – it has just the perfect balance of sweet and sour with a gingery zing. 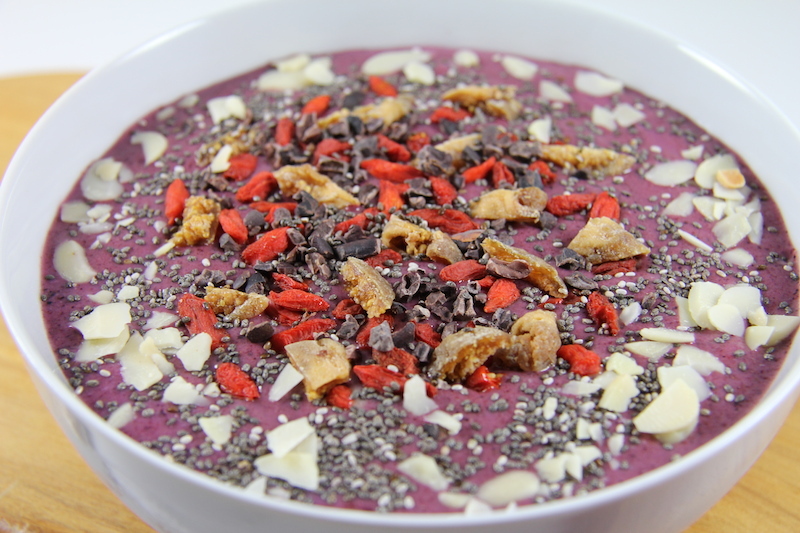 It is perfect as a snack and you just feel so amazing afterwards as you get an burst of vitamins flooding your system. 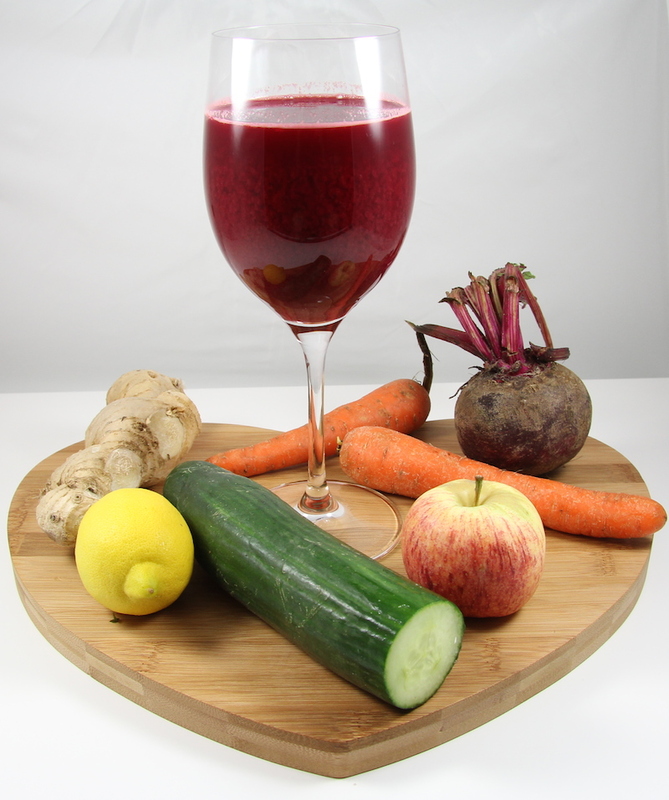 Always try to drink veggie juice on an empty stomach. This means either first thing in the morning or as a snack – but then make sure you have not eaten anything else for 2 hours prior to drinking it. This is because to get full benefit from the juice, you do not want the absorption of the vitamins to be delayed by dietary fibre. Sip it slowly and give it a swirl in your mouth before swallowing so that it can mix with your saliva. 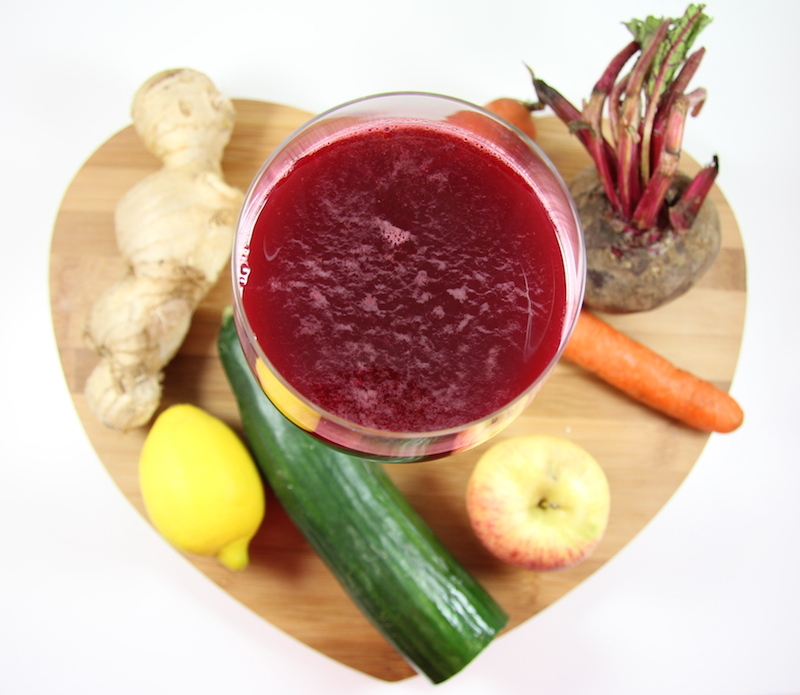 Run all the ingredients through your juicer and voila! I advise to start with a small piece of ginger and taste first. You can always add but you can’t take it out! I have always loved granola, but stopped buying it as most of the granola in the supermarkets are healthy oats, grains and seeds baked in sugar, palm oil etc. It kind of defeats the point to take healthy superfoods, lather them with cholesterol-laden, processed gunk and bake it. I was really happy to find this granola recipe which I could modify to my liking. I made this for a family breakfast a few weekends back and everyone loved it. I eat this for breakfast along with my fruit yoghurt. (If you haven’t made my fruit yoghurt yet, you simply must!) I also love it as a snack – just dry – it is so crunchy and delicious! Put pecans and almonds into your food processor and pulse a few times until broken into pieces. (You don’t want nut flour! Just big chunks instead of whole nuts.) 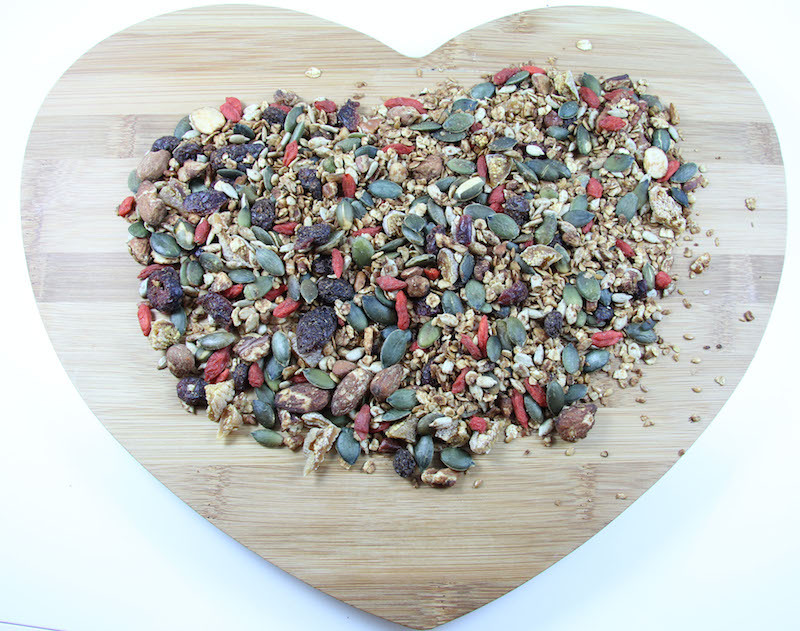 Pour nuts into a large bowl and add oats, flaxseed, buckwheat, sunflower seeds and pumpkin seeds. Mix well. In a small bowl, heat the coconut oil and honey/maple syrup until the coconut oil is liquid so that you can mix the two together. Stir in cinnamon. Drizzle this gorgeous liquid over the nut/seed mixture and mix through thoroughly using your hands. Pour this mixture into a baking tray which has been sprayed with non-stick spray or greased with coconut oil. Bake in a preheated oven at 180ºC until toasted and golden. Check on the nuts every 3-5 minutes and give a good stir to prevent any from burning. You want roasted, fragrant granola – not ashes:) The time in the oven will vary according to your oven, but mine took about 20 minutes in total. When done to your liking, remove from the oven and allow to cool. 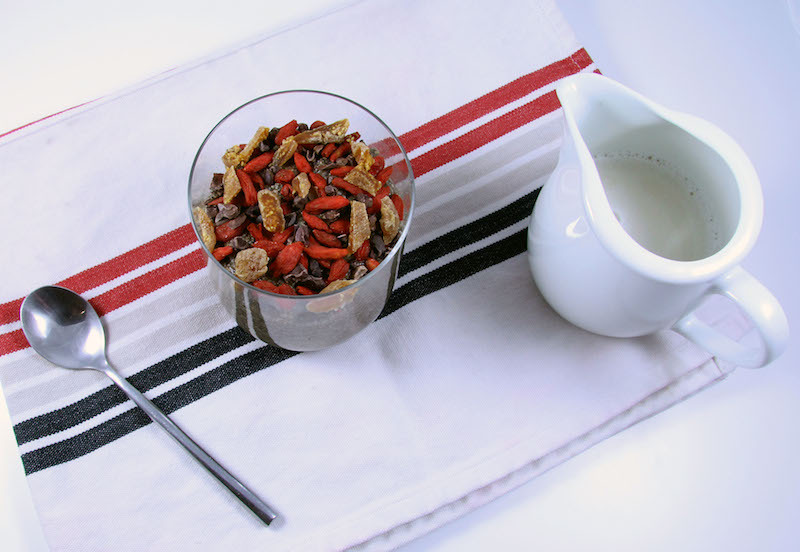 Then add raisins, berries, dried fruit or any other extras you would like to see in your granola. I made this for breakfast on Saturday morning and it was fabulous! 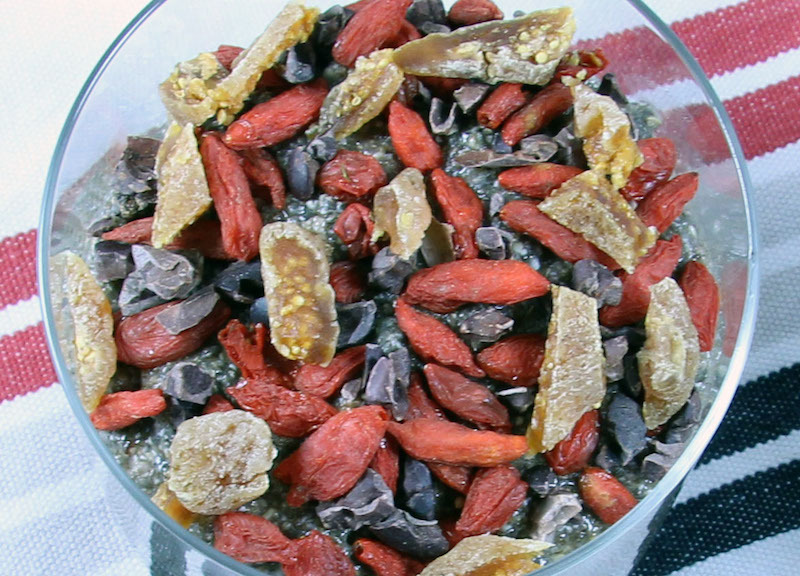 Chia seeds are little health bombs – omega 3, calcium, manganese, phosphorus – you name it, the chia seed has got it:) This breakfast comes together instantly in your blender and I topped it with dried goji berries, chopped up dried figs and raw cacao nibs for extra goodness! As I tucked into my gorgeous breakfast, I made sure to drizzle it with some delicious homemade almond milk. I only used 3 dates to sweeten my chia mixture. It wasn’t very sweet at all, but I liked it like that since my toppings of figs and berries were pretty sweet. If you are not putting a sweet topping on, feel free to add either more dates or drizzle with your sweetener of choice. Feel free to drizzle with honey/agave/maple syrup if extra sweetness is required. 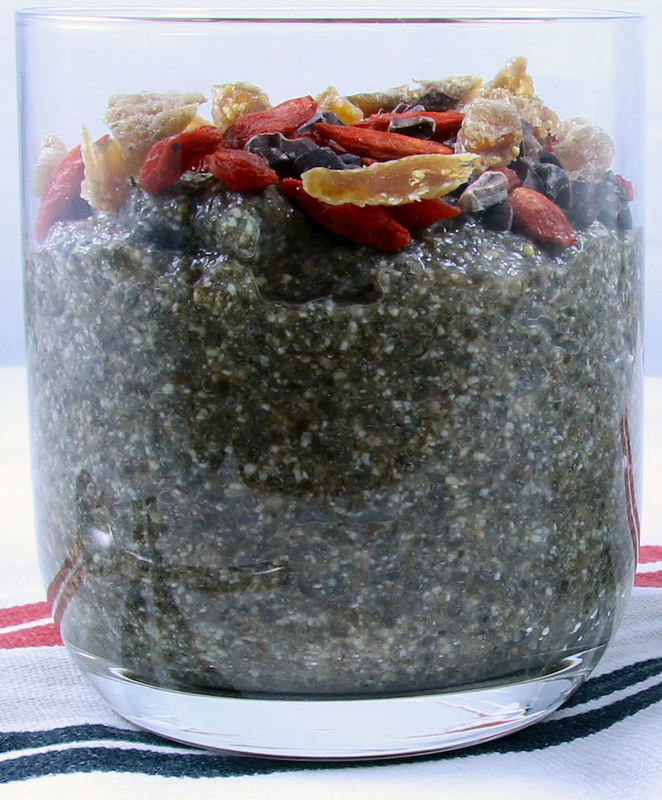 Place chia seeds, water, dates and salt into a blender and blend for a minute or two. Taste and add anything you fancy to the original chia mix. I left it as is and scooped it into a glass. The chia mixture thickens as it stands to form a lovely goop:) Top with yummy sweet superfoods and breakfast it served!